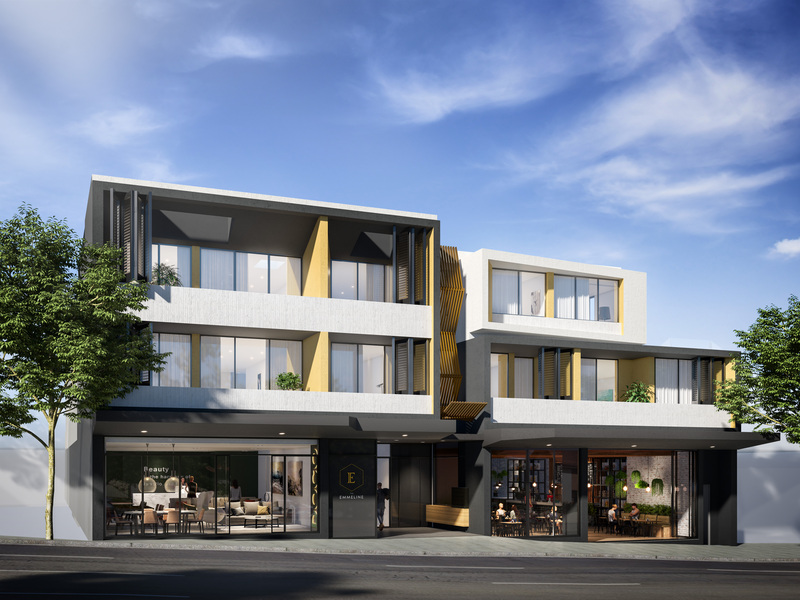 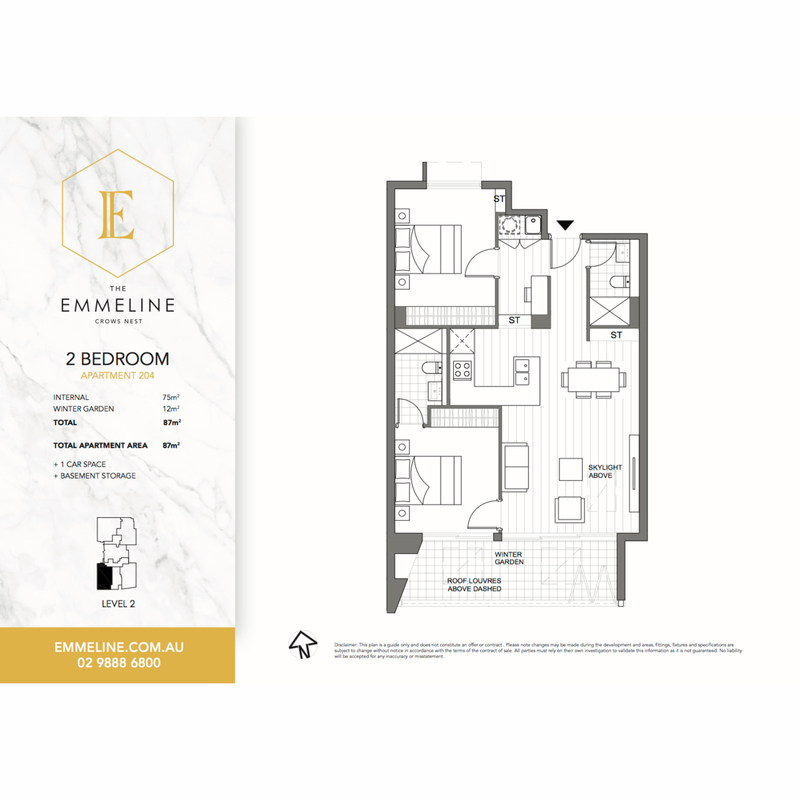 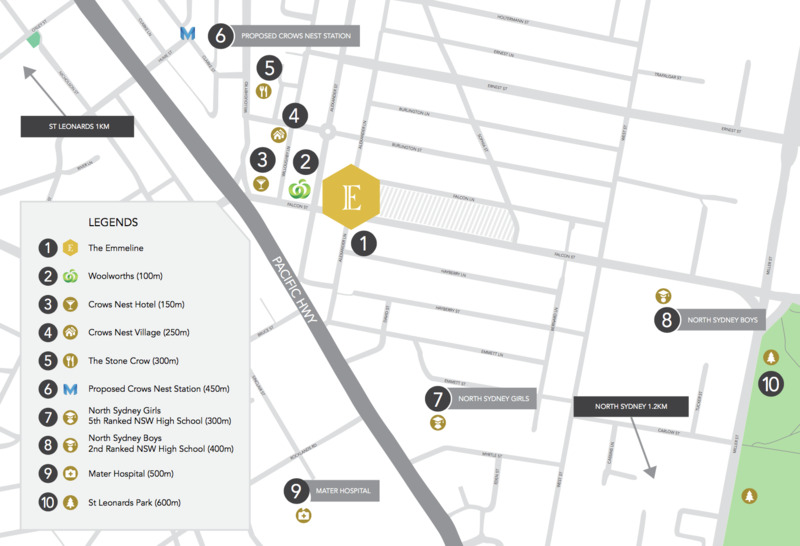 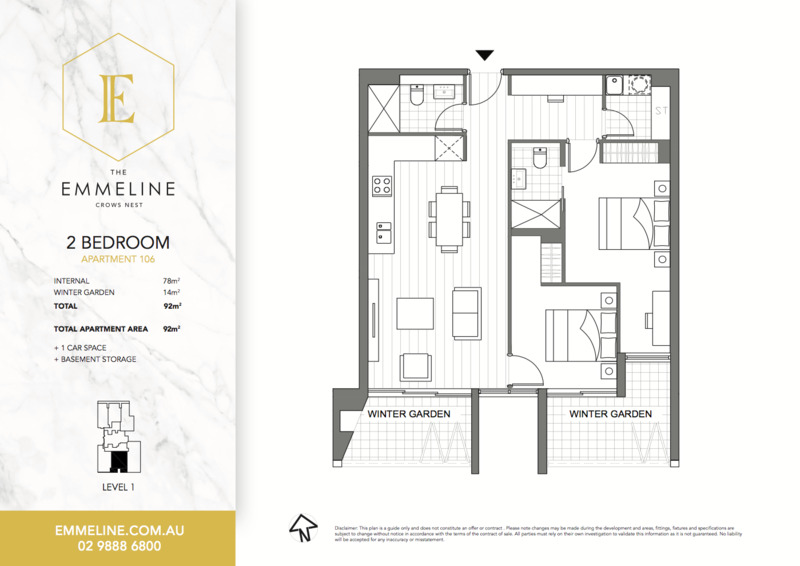 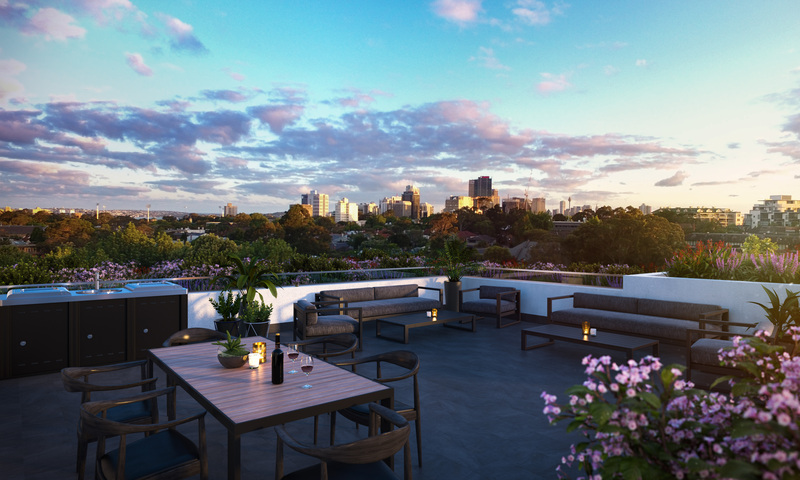 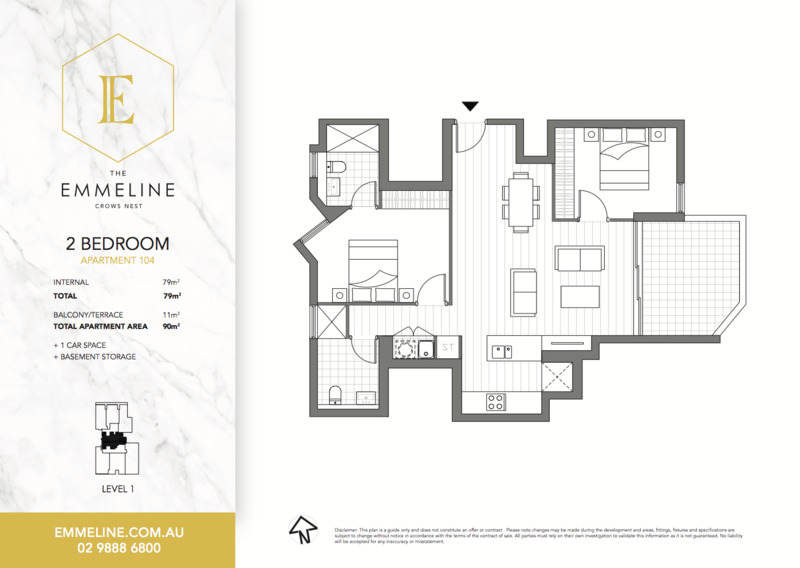 Located in the heart of Crows Nest, The Emmeline forms a contemporary centrepiece to a precinct master plan on Falcon Street. 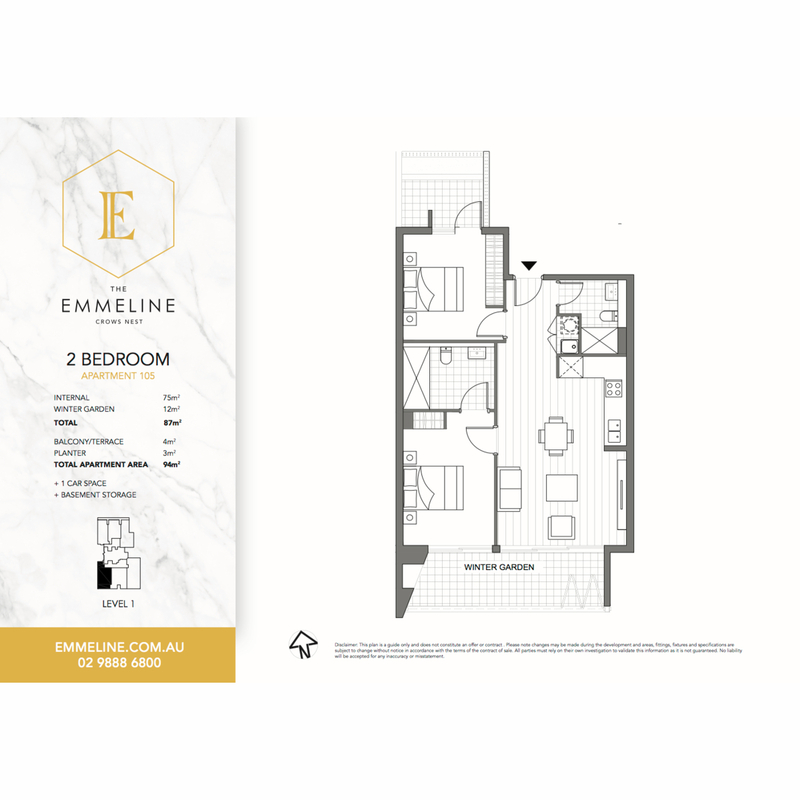 The Emmeline comprises of only 13 unique residences (all with parking) with landscaped podium and a green roof to provide environmental comfort. 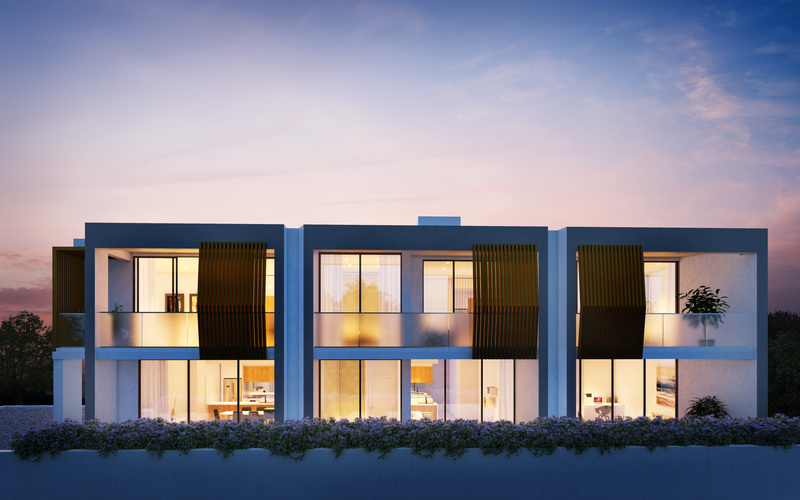 Each residence is handcrafted, graced with natural light and embraced by floor-to-ceiling windows, some with skylights and winter gardens. 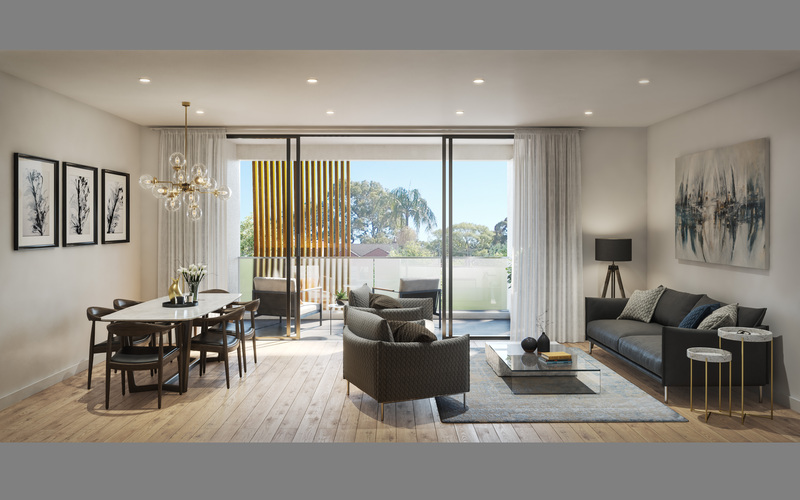 And for absolute privacy, only 3-4 residences share a common lobby, adding to the sense of exclusivity. 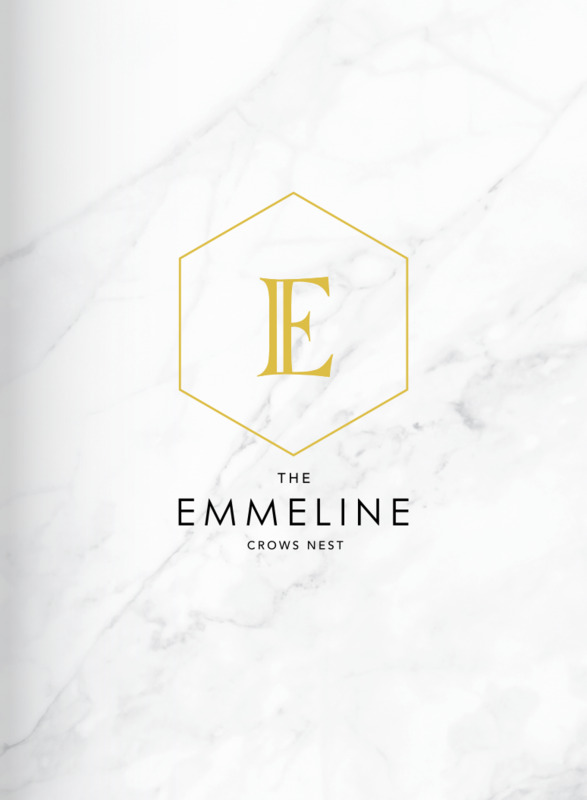 The Emmeline interiors are individually designed to ensure sophistication and character is apparent at every turn. 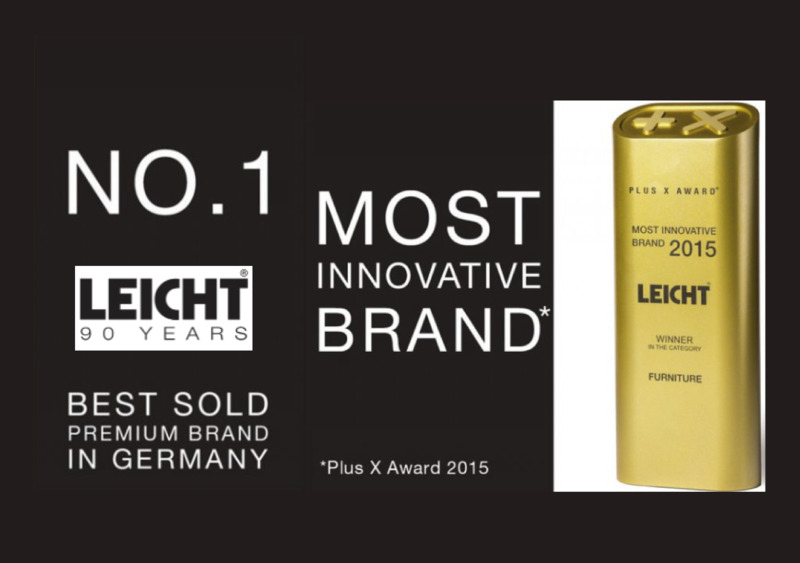 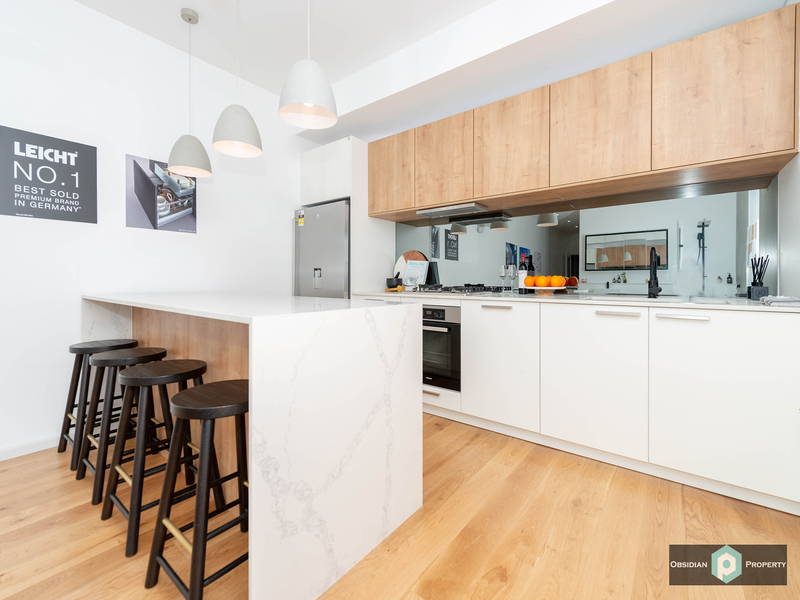 Only luxury fittings such as Miele appliances and imported Leicht German kitchen cabinetry have been used. 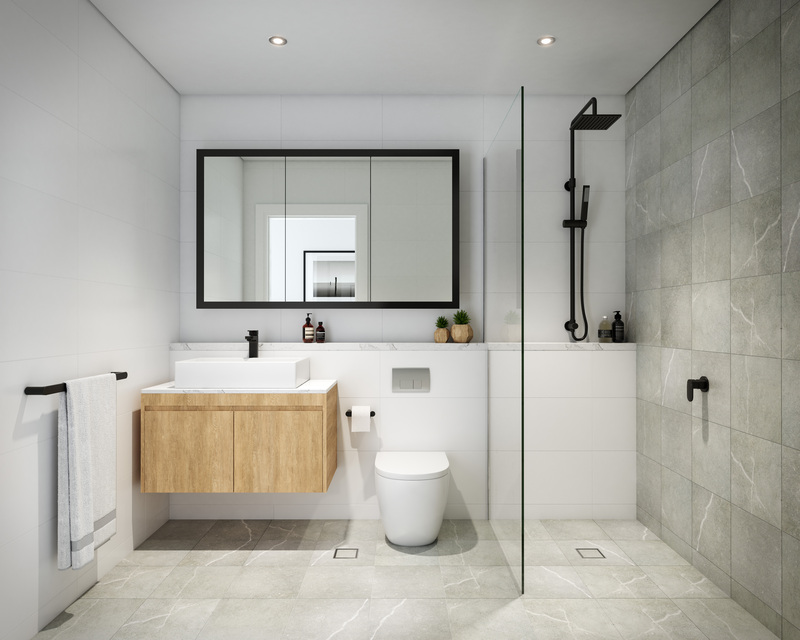 Ducted air-conditioning, timber floors and high level designer finishes are visible throughout. 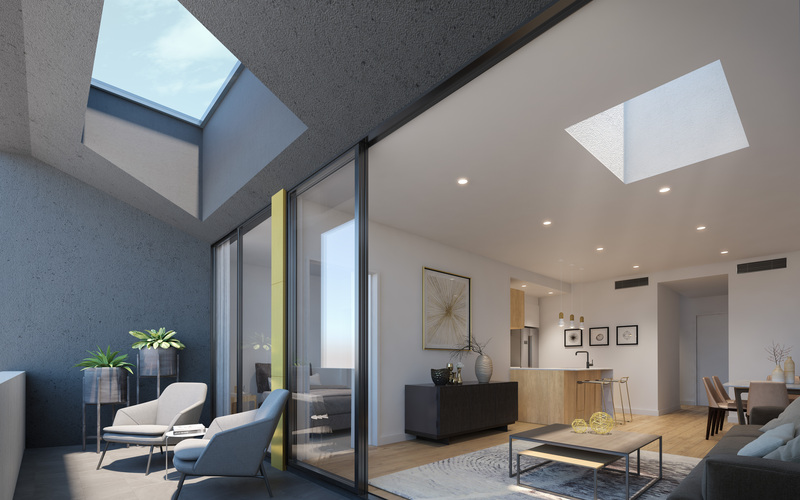 All these delicate elements contribute to a sanctuary and a focal point for community life. 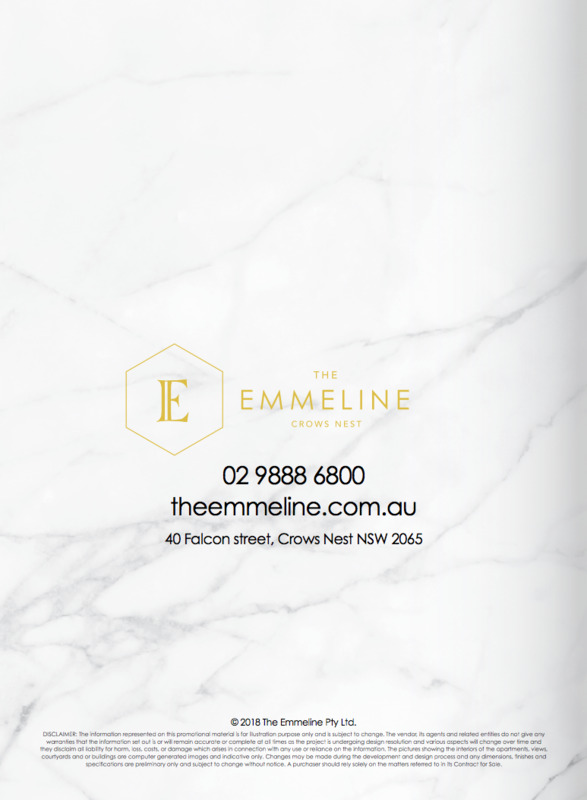 The Emmeline promises a lifestyle of luxury, comfort and freedom. 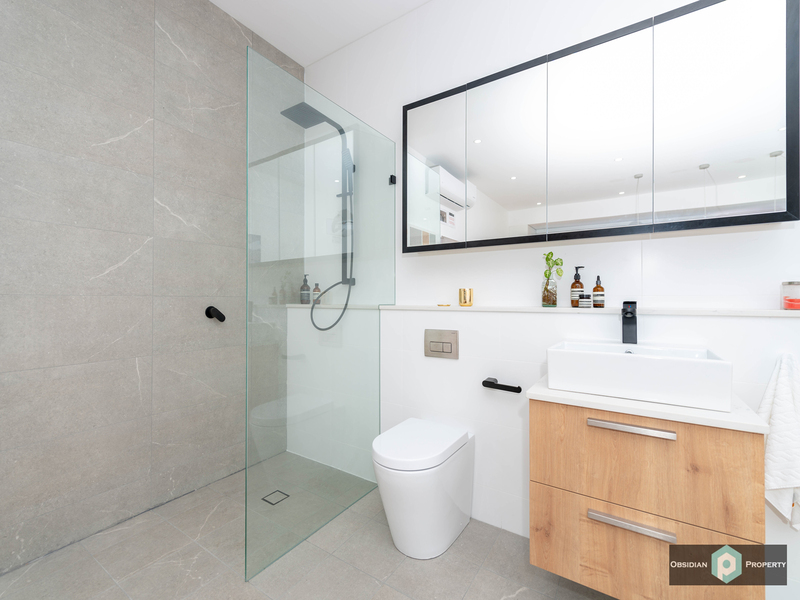 The simplicity of rectangular shape, textured finishes, timber screens and glass create visual interest and breathes luxury and elegance into a prominent site. 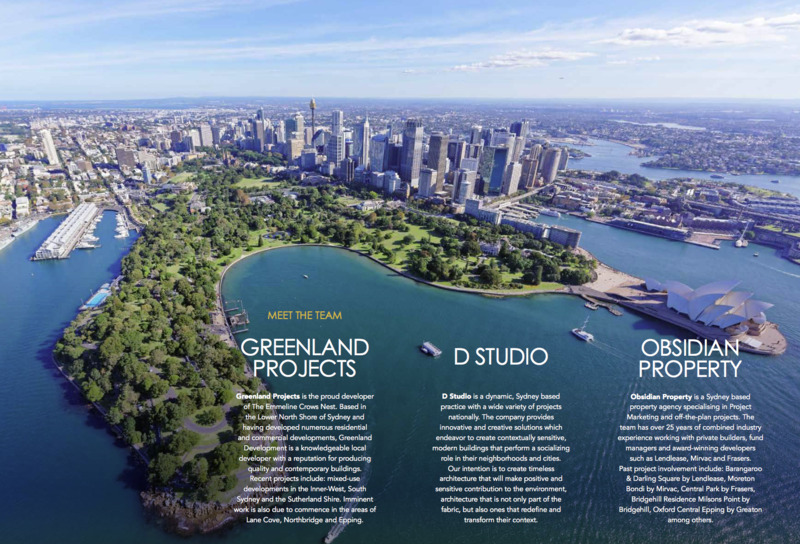 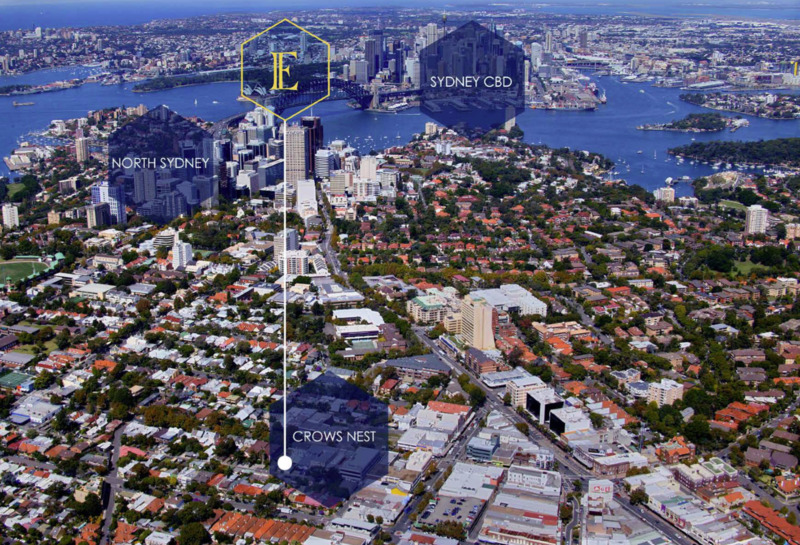 For more details please call Obsidian Property on 02 9888 6800. 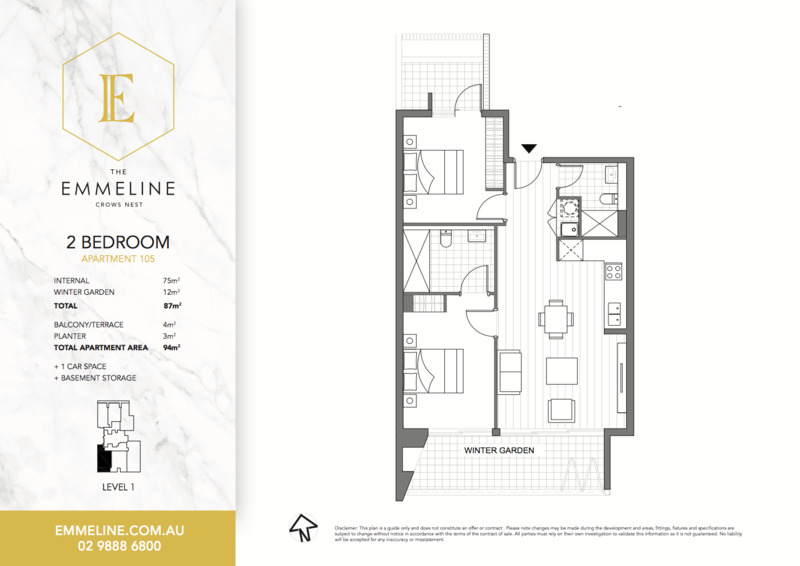 Disclaimer: Please note CGIs/photos and floor plan supplied are indicatives only.